If you've been in a serious accident, call us today. Comfort Level – Are you comfortable telling the lawyer personal information? Does the lawyer seem interested in solving your problem? Credentials – How long has the lawyer been in practice? Has the lawyer worked on other cases similar to yours? Cost – How are the lawyer’s fees structured – hourly or flat fee? Can the lawyer estimate the cost of your case? City – Is the lawyer’s office conveniently located? How Does Texas Car Accident Law Work? Texas law allows injured drivers and passengers, and the families of the loved ones who have died or were injured in car accidents, to file a lawsuit against those responsible for the accident. 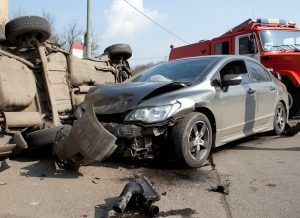 Legal responsibility, called “liability,” for a car accident often depends upon proof that another driver was at fault. The other driver, however, does not have to intentionally cause the crash. Proving the other driver operated the vehicle in an unsafe and unreasonable manner under the circumstances, known as negligence, is sufficient evidence to demonstrate liability. In certain cases, non-driver factors lead to a car accident. These factors can include roadway hazards, poorly-marked construction sites, construction site debris, sand, or gravel on roadways, and other dangerous road conditions. Keep in mind, the deadline under Texas to bring a lawsuit, known as the statute of limitations, can be as short as six months for claims against governmental agencies. When should you contact a car accident lawyer? If you or a loved one has been involved in an automobile accident, you should discuss your case with an experienced auto accident attorney immediately. If too much time goes by before an injury lawyer takes on your case, certain evidence in your case may become impossible to acquire, witnesses may become out of reach, and insurance companies may disadvantage you. Our law firm handles exclusively personal injury claims and wrongful death claims. Car accidents can be extremely traumatic. While some of the more fortunate accident victims are able to walk away from crashes without injuries, the sad truth is that many people don’t. In fact, too many car crashes that occur on Texas roadways are catastrophic—some of which result in death. Because car crashes are usually violent, injuries are common. In fact, across the United States, there are about 1.6 million injury-causing car crashes every year. Whatever your injury and whatever the resulting cost, a San Antonio car accident lawyer from our firm can help you seek the compensation to pay for your recovery. Some of the most serious injuries resulting from car accidents are traumatic brain injuries. Symptoms of a brain injury can be mild, moderate, or severe, depending on several factors involved in the accident. Unfortunately, brain injuries don’t always show symptoms immediately. If left untreated, even a minor brain injury can cause permanent damage; this can happen when the brain swells and creates too much pressure inside the head. 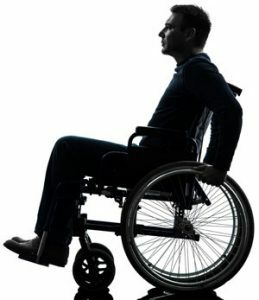 Spine injuries can leave victims paralyzed. Typically, these types of injuries are caused in conjunction with injuries to the vertebrae, discs, or the spinal cord itself. In fact, broken bone fragments and disc material can damage the spinal cord, which carries signals between the brain and the rest of the body. These injuries often lead to a severely decreased quality of life. This—in addition to your medical expenses—should be factored into your final settlement. With the help of a San Antonio car accident lawyer from our firm, it will be. Neck injuries are some of the most common injuries that happen in car accidents. In many cases, whiplash, injury to the soft tissues of the neck, is unavoidable and results from the head’s forward momentum during a crash. Other neck injuries include cervical dislocation, disc injury, and neck strain. Seat belts, airbags, and other parts of the interior of a vehicle can all cause internal injuries during a wreck. The most at-risk organs include the bowels, kidneys, liver, lungs, and spleen. Internal bleeding and injuries to your internal organs are all but certain to carry a heavy financial burden and long-term medical implications. Your San Antonio car accident lawyer will ensure that your medical needs, both current and future, are fully factored into your financial award.